Follow in the footsteps of Tipu Sultan with this history-themed day tour. Visit the Lalbagh Botanical Garden, built by Tipu Sultan’s father; the armory where he stored weapons for his battles against the British; and his ornate Summer Palace. See the Kote Venkataraman Temple and the Bangalore Fort before concluding your tour in the lively KR Market. 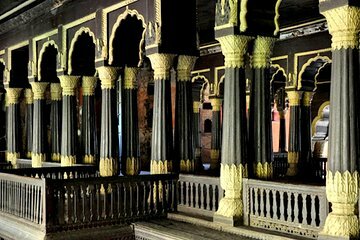 Your guide will share colorful stories from Tipu Sultan’s life as you explore.